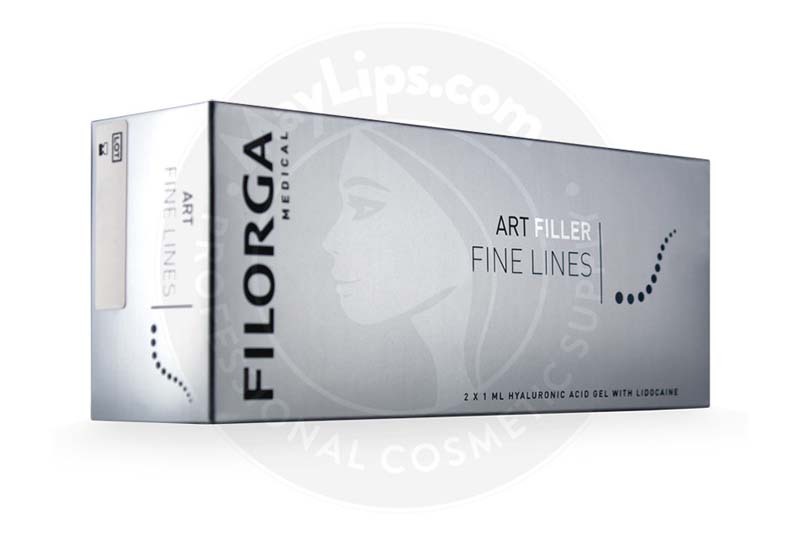 What is Filorga Art Filler Fine Lines? 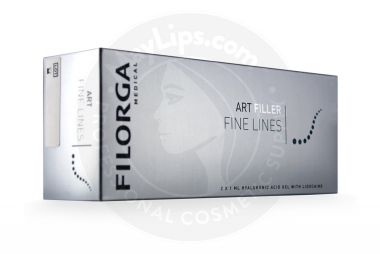 Filorga Art Filler Fine Lines is an injectable hyaluronic acid-based cosmetic filler. This filler gel is formulated with Tri-Hyal Technology, which combines 3 different forms of hyaluronic acid molecules, resulting in 3 important corrective actions: sculpting, volumising, and smoothing. The product’s integration into tissues is at the optimal. The concentration of hyaluronic acid is 20mg/mL and the patient’s comfort is guaranteed due to the integration of a fast-acting anaesthetic, lidocaine (3mg/mL). This aesthetic filler gel is packaged in a 1mL ergonomically-designed syringe with an integrated Luer Lock. A box of Filorga Art Filler Fine Lines comes with 2 prefilled syringes, 4 sterilised 30G½” needles and an instruction pamphlet. 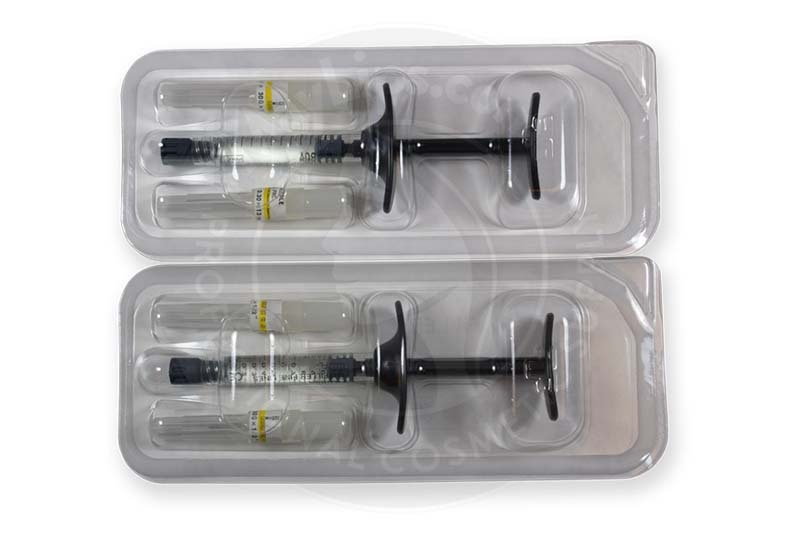 This product is manufactured by Filorga and is part of the Filorga Filler Medical range. As the name suggests, Filorga Art Filler Fine Lines is intended to correct superficial fine lines and tiny skin folds (e.g. crow’s feet). The filler gel itself is designed to be soft with a high capacity for spreading and smoothing ensuring that fine lines are seamlessly filled in. In addition, dry skin can also be rehydrated with this filler. Hyaluronic acid is an intricate carbohydrate molecule first discovered by researchers Karl Meyer and John Palmer from Columbia University. After extensive studies, we now know that hyaluronic acid is an integral part of skin health. It mainly hydrates skin layers and ensures that other skin cells, like collagen and elastin, function properly. When the skin is still young and healthy, it is firm, well-hydrated and free from imperfections. Injuries are also usually quickly repaired. But ageing brings about a decrease in the quality and quantity of these functional cells. Skin also repairs at a much slower rate. In addition, extrinsic ageing factors such as UV damage, smoking and air pollution damage the skin even more. Hence, superficial lines and small folds make an appearance on the face. Ratio of Very Long Hyaluronic Acid Chains vs. Long Hyaluronic Acid Chains: Fine Line Filler has low ratio of long chains. 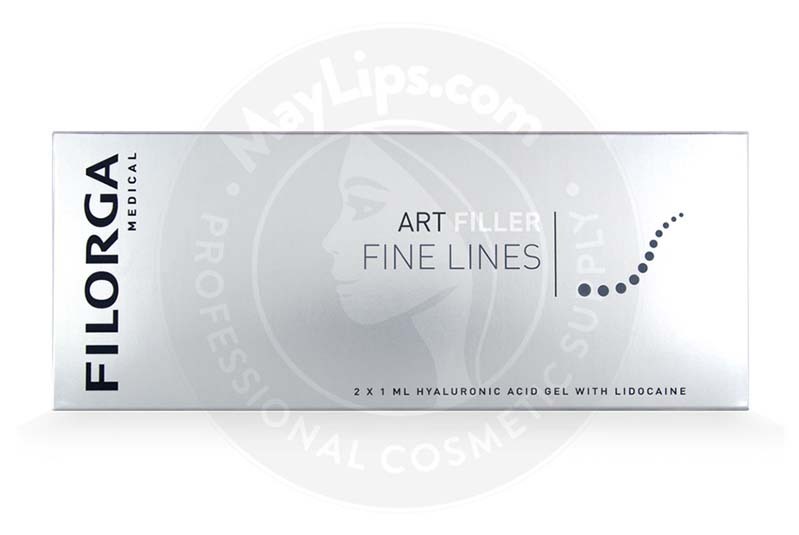 Cross-Linked Hyaluronic Acid: Fine Line Filler contains a low amount of cross-linked molecules. 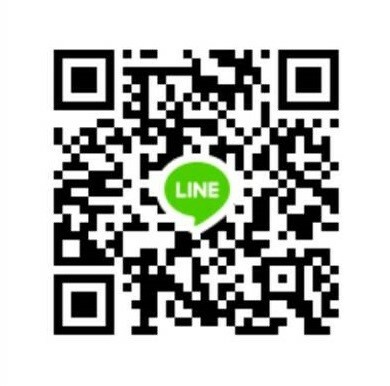 Free Hyaluronic Acid: Fine Line Filler has a high percentage of freely existing molecules. The result of this formulation is that the gel has a soft texture with great smoothing and spreading ability. The filler gel can easily integrate into the wrinkles and smooth them out. Because of that, formation of lumps rarely occurs. The ergonomic design of the syringe (e.g. ergonomic finger grip, rigid plunger and wide thumb rest) allows doctors to administer injections comfortably with great precision. Just like any other medical procedures, the Filorga Art Filler Fine Lines injection must be conducted by certified physicians with experience and skills in aesthetic filler injection techniques. Not only that, patients must undergo an adequate medical evaluation to confirm their suitability to receive this treatment. After the mandatory sanitisation of the targeted skin, the numbing cream can be applied for those who are extremely sensitive to pain. Inject this cosmetic filler intradermally into the superficial layer of skin. Injection techniques like retro-tracing and bolus can be used for the best results. Patients should keep the treated are clean to quickly promote healing. If the patient’s skin is still recovering from previous aesthetic sessions (e.g. laser treatment, dermabrasion), let them recover completely before proceeding with this treatment. The corrective potentials of Filorga Art Filler Fine Lines can last for up to 12 months, after which it is gradually resorbed into the skin. Your patients can receive touch up treatments as needed. Are pregnant and/or are lactating. Usage of the filler in children is also unapproved. Please refer to the instruction pamphlet for a comprehensive list of contraindications. Your patients may develop some undesirable inflammatory side effects caused by this minimally invasive injection process. These reactions typically last for a week or less. It is advisable to inform patients of all possible effects, both pleasant and unpleasant. Patients should report to a doctor if the reactions persist for more than the stated time. Please refer to the instruction pamphlet for a comprehensive list of reactions. 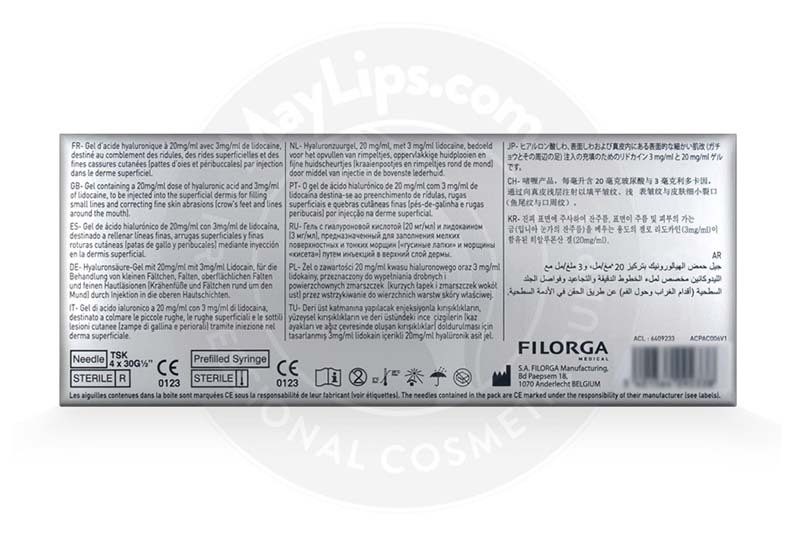 Filorga Art Filler Fine Lines is a non-animal soft tissue filler made of 3 different versions of hyaluronic acid. Tri-Hyal Technology allows the gel to provide sculpting, volumising, and smoothing effects to problematic areas of the skin. 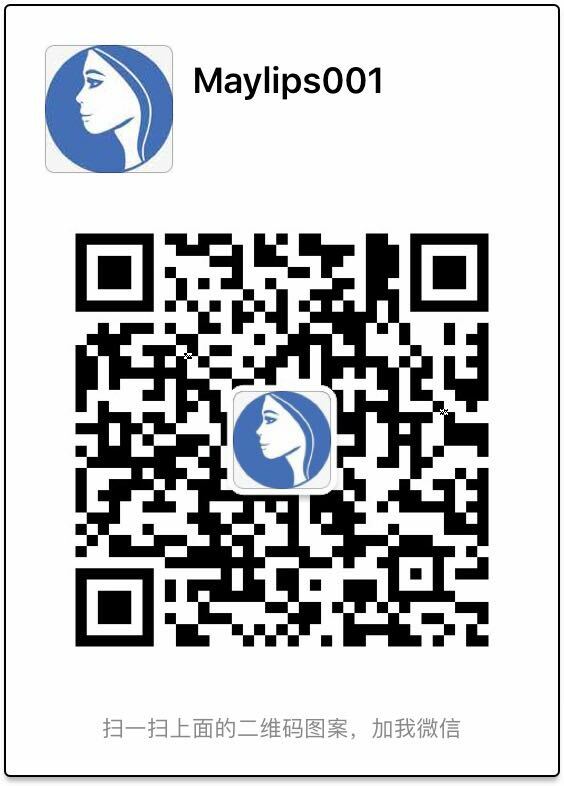 In order for a painless experience for patients, 0.3% lidocaine has been integrated. All the ingredients are reconstituted into a phosphate buffer solution with a pH of 7.2 and supplied in an ergonomically-designed syringe.